After he aged out of foster care in California, Patrick Nickell got a plumbing job. Unable to drive to work, he ended up taking the bus two hours each way, carrying his tools alongside him. “It was not fun. And that would have been difficult to sustain,” he said. Teenagers in foster care often have trouble getting a driver’s license along with their peers, thanks to the high cost of driver’s ed, insurance and other expenses. That can put them at a disadvantage for commuting to school, keeping a job or getting to activities like sports. Nickell said he repeatedly ran across jobs where “reliable transportation” was a requirement. In an effort to close the gap, Washington is funding a statewide program to help young people in foster care pay for car-related expenses, including licensing and insurance. The program was approved by the Legislature during the 2017 session, and the Department of Social and Health Services granted $500,000 to Seattle-based nonprofit Treehouse for a pilot program that started in January. Nickell, who runs the program, said 200 teens in foster care have already applied for funds. Foster parents receive a small stipend to take care of children in their care, but it’s often barely enough to cover basics like food and school supplies. “Teenagers are expensive. They need stuff. They need a lot of stuff. And they have wants, too, on top of the needs,” Nickell said. While driver’s education was once a part of school curriculum, offered for little or no cost, it’s far more common now for teens to take classes through private companies, Nickell said. Those classes typically cost hundreds of dollars. Treehouse operates statewide programs designed to help improve foster children’s high-school graduation rates and pay for extras like summer camps that children might otherwise be left out of, so the driver’s assistance program was a natural fit. Janelle Smith, an education specialist with Treehouse in Spokane, said foster children often feel left out of experiences that their peers are having, including getting a license in high school. “A lot of youth look to getting their driver’s license as a really exciting thing,” she said. It’s easy to think young people should just take public transit, but many live outside of cities where that’s an option. Even in places like Spokane that do have a bus system, working jobs at odd hours or being in school can make that a less-than-ideal option. The assistance program also covers the cost of state ID cards for young people who need a form of identification that isn’t a driver’s license. Any young person age 15 to 21 who’s in foster care, extended foster care or under tribal court jurisdiction can qualify. There’s a short application for funds on the Treehouse website, treehouseforkids.org. The pilot programs runs through mid-2019, but Nickell is hopeful the state will provide permanent funding. Robel Kahsay, a junior at Lewis and Clark, is among the teens hoping to benefit from the program. He’s been in foster care for three years and said he’s not sure if his foster parent would be able to help with driver’s education. Using Treehouse funding, he hopes to take driver’s ed this summer so he can learn the rules of the road. “I just want to start doing it right now,” he said. With a license, he’d be able to drive to soccer practice and matches with his friends. He would also be the first person in his family to have a driver’s license. As for a car, he’s not picky. “Just, you know, any car,” he said when asked what he’d like to drive. RALEIGH — Foster youth of legal driving age and their caregivers can now be reimbursed for costs related to obtaining a driver’s license through a new pilot program. Starting this year, the Transportation Really Is Possible (TRIP) pilot program made it possible for county departments of social services to submit requests for TRIP-eligible costs to be reimbursed to young people and caregivers. Teens in foster care who don’t have a driver’s license face barriers to education, health care, employment and other activities that promote independence. For these youth, driving is not only a privilege, but a route to independence. To help teens in foster care obtain a driver’s license, the Child Welfare Section of the North Carolina Division of Social Services collaborated with county departments of social services, former foster youth, family partners and other stakeholders to develop and launch the TRIP pilot program. The TRIP pilot program will run from Fiscal Year 2017-18 through Fiscal Year 2018-19. Each fiscal year, the program will provide up to $75,000 in funding on a first-come, first-served basis to eligible foster youth and caregivers for costs associated with obtaining a learner’s permit or driver’s license. Reimbursement is provided based on the availability of funds. For more information on the pilot project, visit https://www2.ncdhhs.gov/dss/dcdl/2017.htm. Sarah Helvey of Nebraska Appleseed testified before state legislators on LB 266, which allows youth in foster care who are over the age of 16 to contract for the purpose of purchasing a car or obtaining motor vehicle insurance, waives the fee for foster youth to obtain a driver's license or state ID, and allows caregivers to give permission to youth in their care to obtain a driver's permit. The bill also specifies that during the transitional planning for a foster youth over 14, information, planning and assistance should be provided to the youth on obtaining a driver's license. JEFFERSON CITY, Mo. -- Today, Governor Eric Greitens announced that boys and girls in foster care will no longer be required to pay the state to get a copy of their birth certificate. This change takes effect immediately. They'll get a copy provided to them at no charge. This is a small fix for the government. It'll make a good difference in some kids’ lives. WASHINGTON— A new bill introduced today by Rep. Danny K. Davis (D-IL) aims to make it easier for foster youth to obtain driver’s education, vehicle insurance, practice lessons, and driver’s license fees. “Too many foster youth face insurmountable barriers to getting a driver’s license: from the course fees and the cost of insurance, to the need for an adult who can help with their practice hours. Studies have shown that kids with access to a car do better in school, get better jobs, have more college options, and have more successful careers. The bill also provides training for foster parents to help kids in their care achieve practice hours and understand the information relating to obtaining a driver’s license. Rep. Davis calls transportation “one of the largest barriers” for foster youth to overcome as they transition into adulthood. “It impacts every aspect of their well-being, and has been an impediment to meeting their education and employment goals. These kids deserve better,” he said. In 2014, a study conducted by the Urban Institute found that families with access to vehicles live in neighborhoods with better environmental and social quality than those without cars. To learn more, visit youthgoingplaces.org. (Indianapolis, Ind.) – Two new laws will make life easier for Indiana’s foster children aging out of the system. The Indiana Youth Institute’s Kids Count Data Center says there were more than 16,600 Hoosier children in foster care in 2015, up from about 10,700 just five years earlier. COLUMBIA, SC (WIS) - More teenagers in South Carolina can be licensed to drive with a bill signed into law Monday morning. Governor Henry McMaster signed his name to the bill that allows for children under foster care to get driver’s permits and licenses, with the signature of their foster parent. A bill signed by Governor Jay Inslee will reimburse caregivers or foster children for the costs associated with getting a driver's license. It’s expensive to become a licensed driver in Washington state. There are permitting fees, driver's education classes, testing and insurance costs. INDIANAPOLIS — Two new Indiana laws aim to help foster children who age out of the system without finding a permanent home or being reunited with their families. One of the new measures recently signed into law by Gov. Eric Holcomb allows these 18-year-olds to automatically remain on Medicaid until age 26, The Journal Gazette reported (http://bit.ly/2pJOI7a ). That legislation requires the Family and Social Services Administration to enroll the foster children before they age out and removes the requirement to reapply every year. It’s expensive to become a licensed driver in Washington State. There are permitting fees, driver's ed classes, testing and insurance costs. For foster children or their caregivers it’s often a significant hurdle. This week, the Arizona Legislature pushed a bill to Gov. Doug Ducey’s desk that would allow children in foster care to buy car insurance. This bill changes the current law that had barred minors from entering into contracts, effectively blocking children with no co-signing adult from the path to earning a driver’s license all together. Governor Rick Scott has signed the “Keys To Independence” Act into law again. Years ago, he signed the measure into law creating the pilot program. Now, Scott’s approval this week now makes the program permanent to make it easier for Florida’s foster kids obtain driver’s license. INDIANAPOLIS – Jaquesha Smart didn't get a driver's license when she was in foster care, and now struggles to stay on Medicaid at age 21 because of the constant paperwork hassles. But the Indiana legislature passed two bills targeting those exact issues, meant to help young people like Smart, who aged out of foster care at 18 without being reunited with their family or finding a permanent home. Foster kids would be able to buy car insurance — if they can afford it — under a bill that is touted as the first step to giving foster teens access to the driving experience. Mark Leeper remembers a key obstacle: He couldn't drive. Not for lack of interest, but because there was no way he could legally obtain the car insurance that was needed to get a permit and, later, a license. "It wasn't even an option," said Leeper, now 31. 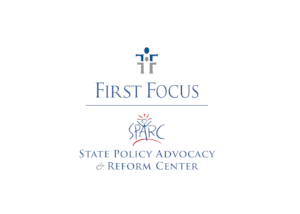 INDIANAPOLIS, IN – Indiana Connected By 25 praises Governor Eric Holcomb’s signing of two measures that will have dramatic effects on Indiana foster youth. Senate Enrolled Act 366 (Driver’s Licenses for Foster Youth) and Senate Enrolled Act 497 (Medicaid for Former Foster Youth) were both signed by the Governor late Friday afternoon. COLUMBIA, SC (WIS) - A bill that Governor McMaster signed in early April which enables children in foster care to obtain driver’s licenses and permits goes into effect next week. Senate Bill 198 expanded the list of responsible adults who can legally sign the application for a minor to obtain a beginner’s permit or driver’s license. The old law specified that only a parent or guardian of a child could authorize the child to get their beginners permit. The language of the law barred children in foster care and others in non-traditional family settings from getting their permits and licenses. DOVER — Gov. John Carney signed into law Thursday two bills giving foster children expanded opportunities. Senate Bill 56 provides liability protections for foster parents and guardians, while Senate Bill 42 allows individuals to add foster children to their car insurance. “It’s one more way that a foster kid can achieve some level of normalcy in his or her life,” main sponsor Sen. Brian Bushweller, D-Dover, said at the bill-signing. Keys to Independence program's success can continue with Florida legislators' support. As young people transition to adulthood, earning their driver's license provides a certain level of independence and economic mobility — a vehicle, if you will, to go places in life. Whether heading to school or work, the doctor's office or the grocery store, having the ability to drive is a necessity most Floridians take for granted. Until recently, however, getting a license — not to mention paying for car insurance — was nearly impossible for teens in the state's foster care system. Three years ago, in fact, only 20 youth ages 15 to 18 in the foster care system anywhere in Florida received their driver's license before the age of 18. Glenda Wright, senior from Owensboro, Kentucky, is making a difference for children in foster care, inspired by her personal experience in the system. Wright said her mother, who had a drug addiction, dropped her and her three siblings off at daycare one day and never returned. Growing up Wright and her siblings lived with her grandmother, but when she passed away in 2009, they were taken into the care of the state. She had three total placements that ultimately divided Wright from her siblings. Children in Florida foster care will get help obtaining a driver's license and auto insurance under a bill heading to Gov. Rick Scott. The House unanimously passed the bill Wednesday that would make permanent a pilot program that began in 2014. The program reimburses foster parents or children for driver's education, license fees and insurance. The idea is to help children in state care become more independent. The cost of the program is $800,000.